One of the fabulous things about travelling, of course, is the chance to try new things. Such was the case in Ireland last spring during our stay at beautiful Ashford Castle. 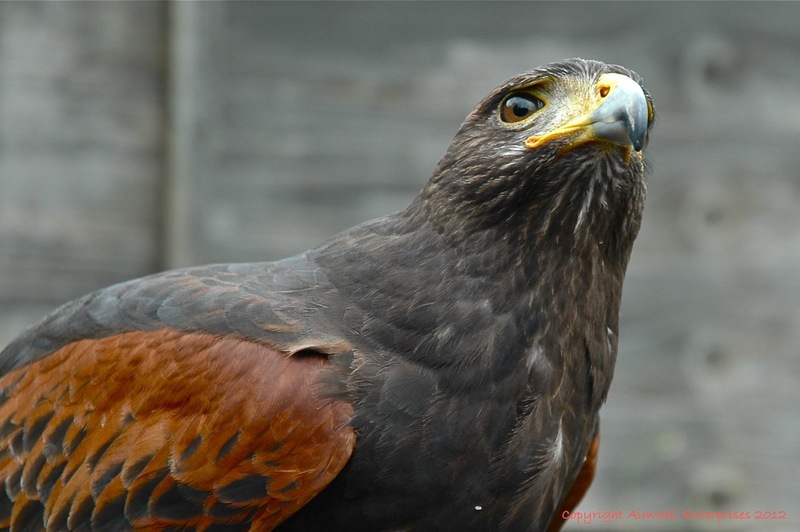 Lloyd’s daughter, Claire, is an exotic bird trainer in Australia, so I suggested to him it might be fun if he took advantage of access to Ireland’s School of Falconry located on the castle grounds and go on a Hawk Walk. He didn’t need much prodding excited, as he was, at the thought of being able to share his experience with his daughter. Like daughter like father, I suppose, because he was a natural and thoroughly enjoyed it. 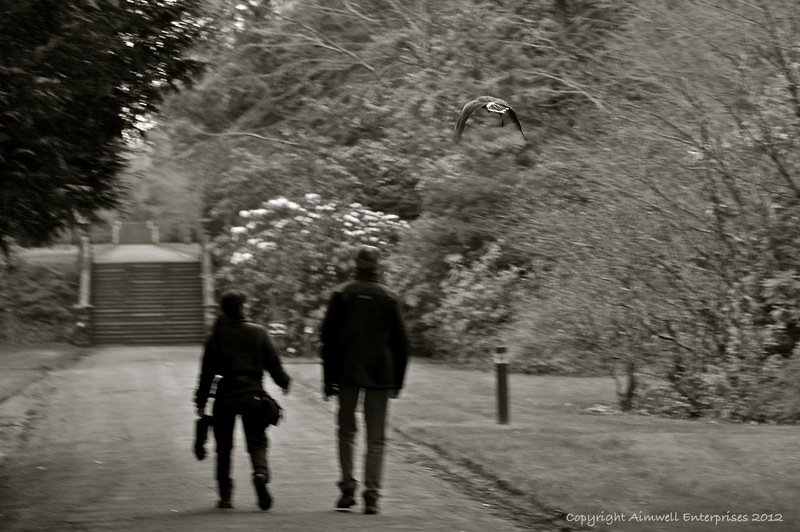 Millie, a Harris Hawk who regularly entertains the castle’s guests with her aerobatics and impressive wing span, was Lloyd’s flying partner while I had fun capturing the moment. 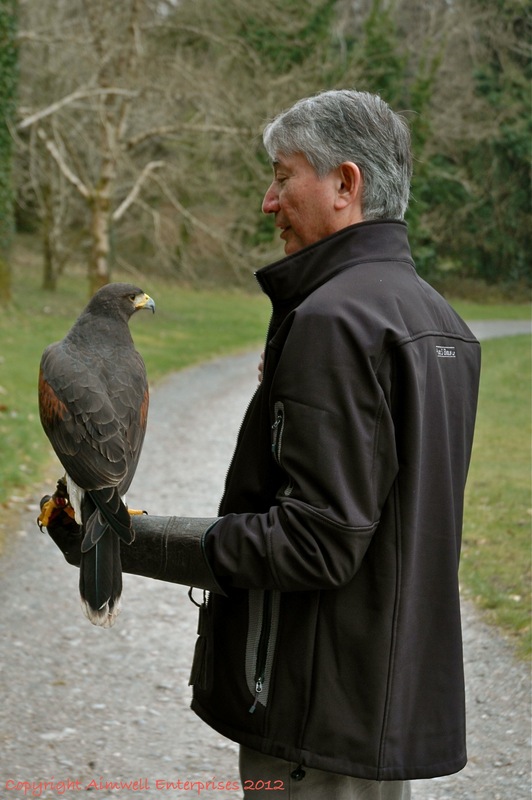 During the hour-long Hawk Walk through the gardens and woods of the castle, Lloyd’s instructor educated him on the basics of falconry and Millie performed her magic, winging with speed and agility, swooping and flying between trees and from the trees to Lloyd’s gloved fist. Watching this impressive bird in flight was truly a sight to behold, as was the joyful expression on Lloyd’s smiling face. Needless to say, Claire was thrilled that her dad would take the opportunity to try something she loved — their shared joy made possible by the magic of Millie. This entry was posted in Animals, Castles, Ireland, Nature, Photography, Travel, Uncategorized and tagged Ashford Castle, birds, falconry, gardens, Ireland, Photography, Travel. Bookmark the permalink.